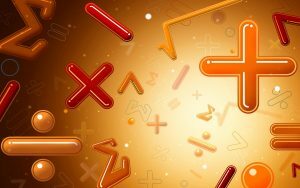 Follow this link to go to Maths.TeesTutors for everything you need to know about Maths lessons. Contact me and book your Maths lessons today. Contact me now to book your lesson. Richard has played an invaluable part in helping me to learn and improve, to be able to play with greater confidence. He has the rare ability of being able to give feedback that is both encouraging and educational while also being constructive in highlighting mistakes and areas to improve. He has the gift of being able to tune his feedback to perfectly match my ability, providing guidance that is inspiring rather than overwhelming. I have no hesitation or reservation in recommending Richard. Thank you for the support, guidance, tips and tricks you have provided me with in my journey in guitar and music. You are patient and have a unique way in teaching. I really do appreciate all the help during the past two years. I know where to go when I’m stuck. I've been learning to play the guitar for the last 4 or so years. There will always be times where you need some additional help or just plain need to ask some questions. Richard is one of those guys go to guys. Over the years I've hit many a hurdle that I needed to get over. New chords, rhythm patterns, scales you name it I've tripped on it and needed help. Richard has always been there - giving guidance, knowledgeable answers and insight based on experience and his understanding of the guitar, but most of all support and encouragement. I would not hesitate in recommending Richard as a guitar teacher. What more can I say? Richard has a knack for giving friendly and really useful feedback on your playing. He knows what it’s like to be a beginner and manages to be unfailingly supportive while still identifying useful points for you to work on. Basically, he gives good advice that you want to take. Richard has helped me on several occasions with playing and technical issues. There's no doubt he really knows his stuff. He's always ready to help and to provide answers or feedback. He's someone to rely upon when in doubt. I was a beginner guitar student who took up the hobby much later in life. Richard is one of the best human resources available. His knowledge of guitar and music in general is second to none. I have benefitted tremendously from his extensive knowledge as he has offered up many valuable bits of knowledge to compliment my learning. Without this extra help, I feel I would not have progressed as quickly as I have. I took up guitar a little over two years ago and Richard has been immensely helpful to me by providing very insightful guidance and encouragement when it was most needed. I have thoroughly enjoyed the learning experience and am very grateful to Richard for his help on this splendid journey to becoming a proficient player. Richard has been helping me run the justinguitar forum for many years and has proven himself to be a knowledgeable and helpful dude and has earned the respect of the whole community! I’m sure he’ll be a great teacher for people getting started on guitar! Whether you are a total beginner, or someone looking to advance and develop your playing and perhaps even performance, Richard has what you’re looking for. He has a way of seeing your strengths and building on them, drawing out the best in you. He is patient, fantastic at explaining things and very encouraging. His knowledge of theory leaves me dazzled, but in his clever way, he breaks it down so I can understand and even more important l use what he has taught me. Richard’s years of experience as a teacher brings something extra special to your lessons with him. Richard is a fine musician as well as a fine teacher which to me is a winning combination. If you’re looking for a guitar teacher who will take you to and then beyond what you can only dream about, Richard is your man! Richard has been very very helpful in my guitar journey. Knowing the guitar and how to teach are important of course, and he has that, but even more important to me is the way he encourages you. He hears what you're playing and identifies the good things there, and points out what you've learned, and then suggests where to go to get to the next level. I find his feedback very motivating, and that's what you want, because above all you want learning guitar, and playing guitar, to be fun. And I'm having lots of fun! Richard is a kind and insightful guitar tutor. He sees your strengths as well as the areas that need attention, and gives advice that will help you improve thoughtfully and with compassion. I definitely recommend him! Richard is very knowledgeable and can explain tricky concepts well. He has greatly helped my understanding of music theory which in turn has helped my playing. Having a guitar teacher who not only knows his stuff but is also able to (patiently) explain it in a easy to understand way is invaluable. Richard is very encouraging and helpful, always willing to offer advice to a beginner such as myself. He’s certainly helped me out since I began the guitar and his feedback has always been insightful and very welcome. He has a very broad knowledge of the guitar and is familiar with different styles, playing techniques and theory. He has also got a very good knowledge of equipment.